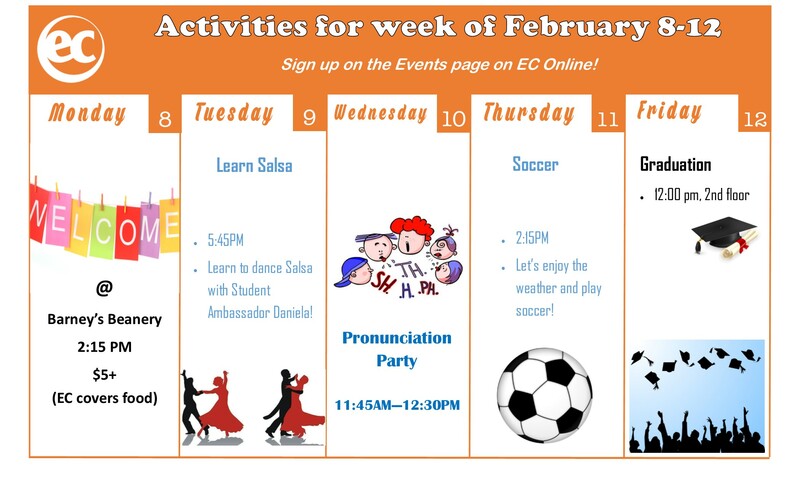 Here are this week’s EC Los Angeles activities! 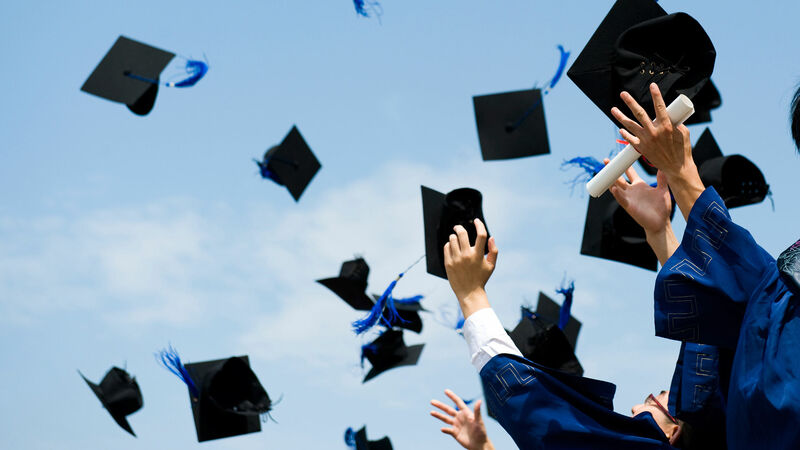 Don’t forget to sign-up on EC Online! Our very own Student Ambassador, Daniela, will be teaching us how to dance Salsa! All levels are welcome! 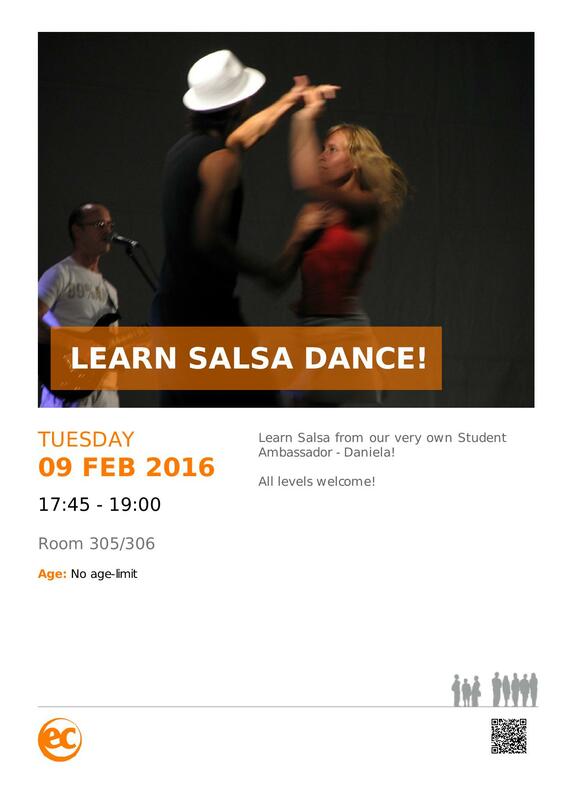 Join us and learn how to Salsa! 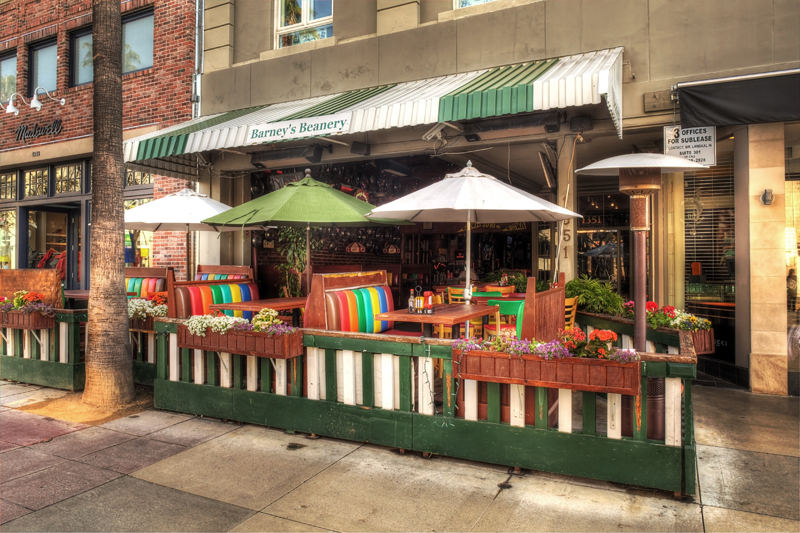 The calendar might say February, but the weather feels like Summer! 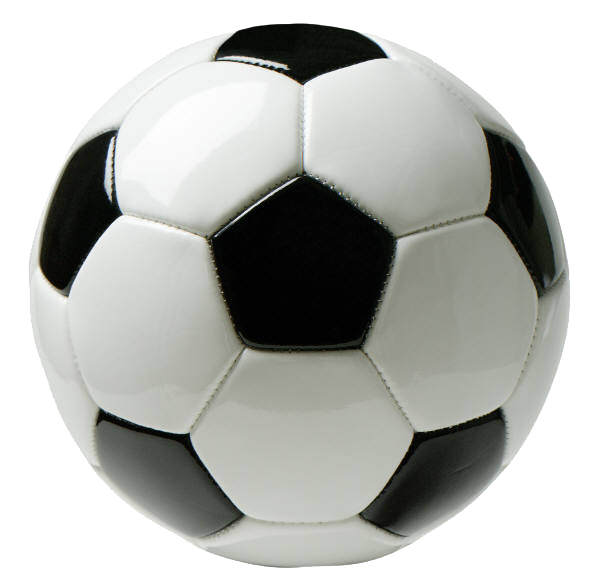 Let’s all have fun and kick a ball around!